Exina Syncwizard for Outlook - Professional MS Outlook? Synchronization, Backup, Transfer Utility. MS Outlook is an email and personal information management software developed by Microsoft and wide used in around of world, especially in companies, MS Outlook is very popular. Although we often use it mainly as an e-mail application, it also is a Calendar, Task Manager, Contact Manager, note taking, and a journal. After a long time using, our outlook accumulated huge history email and appointment, tasks. Sometimes we have to receive and handle mails, tasks in another computer temporarily for example in travel. That's a problem raised that some email(tasks, appointments) received and stored in another computer typically a laptop computer, they are absent in our main computer, it's bad for most people. Frankly I met this problem before so I thought it would be great if we can sync Outlook folders with another computer, after failure of seeking a software in internet I decided to write one. 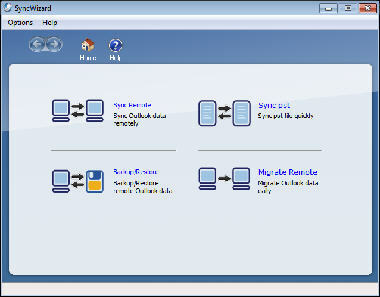 Exina Syncwizard for Outlook is the software I developed. It can sync your outlook with remote computer, can sync pst file (Outlook database file), backup and restore Outlook data, and transfer Outlook's data to a new computer. Personal Organizer - You will never lose track of those important dates ever again! Personal Data Vault (PDV) - Lock your documents, passwords and favorites in a safe location. VIP Organizer - Help you manage appointments, to-do lists, schedules, and more. WinLog Assist - management Personal information manager Statistics and time analysis. BossKey - Press mouse's left and right button then specified windows will be hided. Business Card Creator for Word - Make great looking, professional business cards in minutes! the perfect make business card program for you.